I attended the Pan-Pearl River Delta Regional Co-operation and Development Forum (PPRD Forum) in Hainan on November 30 and December 1. It was the first time I attended the PPRD Forum and also my first major visit outside Hong Kong since I took office as chief executive. The trip proved fruitful. In particular, we achieved encouraging results in promoting Hong Kong’s role in the further development of the PPRD region by making more effective use of the PPRD co-operation platform and leveraging our unique advantages. The PPRD Forum, launched in 2004 and held for the eighth time this year, is an important platform for regional co-operation in which Hong Kong participates. The “9+2” provinces/regions in the PPRD account for one-third of the country’s population and gross domestic product, representing a huge potential market. The provinces/regions differ in their state of development. Some of them are situated near the coast and were among the first to implement the policy of reform and opening up, while some are inland provinces endowed with rich natural resources and cost advantages. By bringing their qualities into play and enhancing co-operation, these provinces/regions can promote the modernisation and development of the PPRD region, presenting new opportunities for Hong Kong’s economic development. When exchanging views with the leaders of the PPRD provinces, I emphasised the unique role that Hong Kong could play, pointing out that our extensive international connections could support their development strategy of speeding up the link-up with the rest of the world, which would in turn create career development and business opportunities for Hong Kong people and enterprises in various sectors. I also made reference to the dedicated chapter for Hong Kong and Macau in the National 12th Five-Year Plan, in which the central authorities clearly expressed its support for Hong Kong in consolidating and enhancing our status as an international financial, trade and shipping centre. In this consolidation and enhancement process, there would be ample scope for co-operation between Hong Kong and the PPRD provinces. In the early stages of the country’s economic reform and opening up, Hong Kong acted as a major source of capital, talent and technology – resources that were needed for the mainland’s development. Some 30 years on, the national development has now entered a new stage in which Hong Kong will enhance its role as a channel bringing capital, talent and technology into the mainland from all over the world while also introducing mainland enterprises, products and services to the global market. The PPRD provinces can make good use of Hong Kong’s international network to implement the national development strategy of “going out” and “bringing in”. For instance, mainland enterprises intending to expand overseas may seek professional advice from more than 70 foreign law firms in Hong Kong – firms that have the advantage of being conversant with the laws of their respective countries. 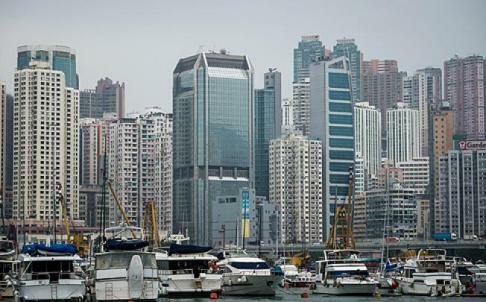 Hong Kong is also a place where global investors and service providers like to congregate. Boasting over 20 foreign chambers of commerce and 1,200 regional headquarters of overseas enterprises, Hong Kong is a convenient place for mainland enterprises to source capital, talent and technology from the rest of the world and identify foreign business partners. My views received a positive response from the leaders of the PPRD provinces. They look forward to deepening co-operation with Hong Kong and Macau, and especially to achieving a win-win situation by complementing our respective strengths and capitalising on the advantages of “One Country, Two Systems”. They fully agreed that Hong Kong, with its international connections and as a channel for capital, talent and technology, will continue to contribute substantially to the further development of the PPRD. During the forum I had bilateral meetings with the leaders of Hainan, Yunnan, Guangxi, Sichuan and Fujian to explore areas for closer co-operation. Regarding Hainan, where tourism is growing rapidly, we can deepen our co-operation in the development and promotion of multi-destination itineraries and cruise products. For Yunnan, we can help export its products to the international market, building on our increasingly close business and trade ties. For Guangxi, the “front porch” of the Asean-China Free Trade Area, Hong Kong can serve as an intermediary to help it attract more investment and go global. For Sichuan, we can further enhance exchange and co-operation on various fronts, with our close relationship fostered through the reconstruction works after the earthquake. With Fujian, we can explore the feasibility of mutually extending the pilot implementation of measures under the Economic Co-operation Framework Agreement and the mainland and Hong Kong Closer Economic Partnership Arrangement. The new SAR government and I attach great importance to Hong Kong’s economic development. Only by achieving a relatively high and sustainable rate of economic growth can we solve Hong Kong’s deep-seated problems. To this end, we will pursue further economic development by seeking change while maintaining stability and being appropriately proactive. We will also make good use of the mainland’s support while continuing to engage ourselves globally. Enhancing co-operation with the PPRD provinces is both in line with my proposal to strengthen internal diplomacy and conducive to Hong Kong’s economic development. Building on the foundation laid at this forum, particularly the understanding reached with some provinces, my colleagues and I will endeavour to help Hong Kong businesses and professionals increase their participation in the development of the PPRD while also benefiting from a closer relationship with the region as a whole. Leung Chun-ying is the chief executive of Hong Kong.